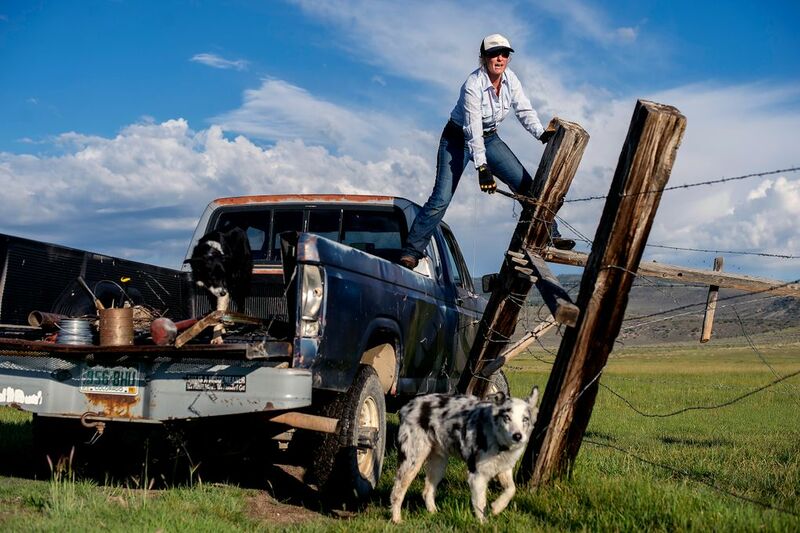 As mechanization and technology transform the ranching industry, making the job of cowboy less about physical strength and more about business, animal husbandry and the environment, women have reclaimed their connection to the land. 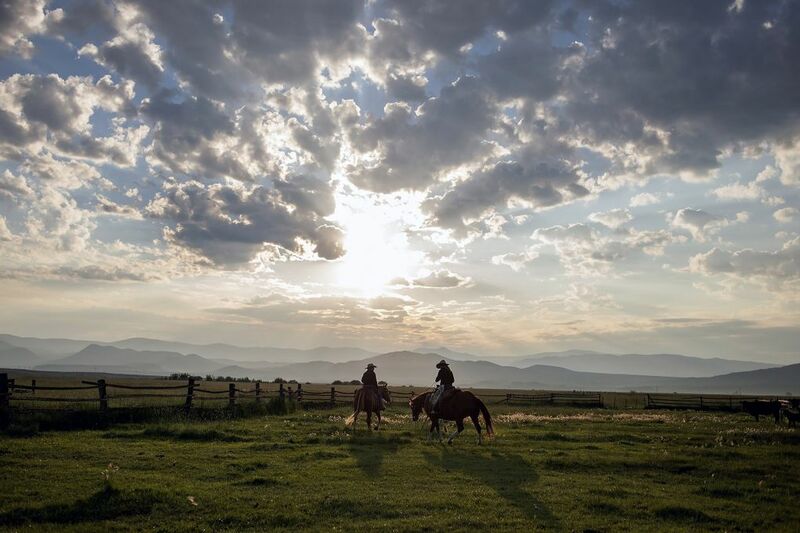 Hundreds of years before John Wayne and Gary Cooper gave us a Hollywood version of the American West, with men as the brute, weather-beaten stewards of the land, female ranchers roamed the frontier. They were the indigenous, Navajo, Cheyenne and other tribes, and Spanish-Mexican rancheras, who tended and tamed vast fields, traversed rugged landscapes with their dogs, hunted and raised livestock. The descendants of European settlers brought with them ideas about the roles of men and women, and for decades, family farms and ranches were handed down to men. 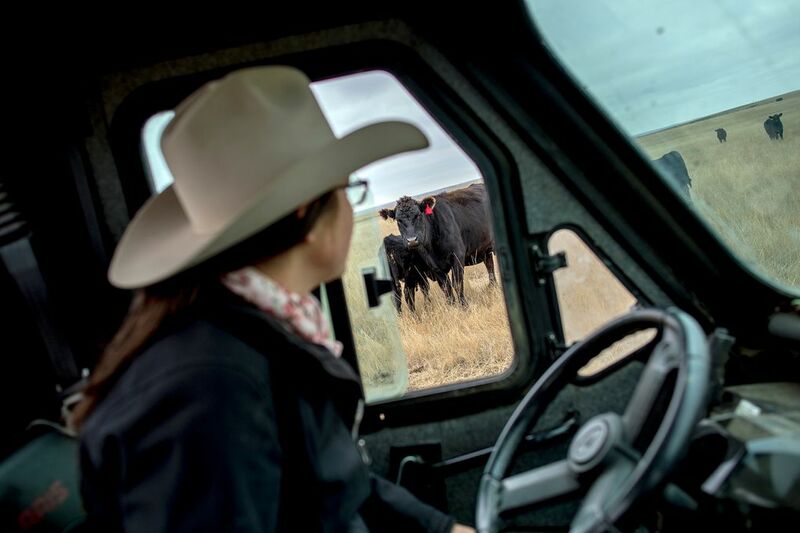 Now, as mechanization and technology transform the ranching industry, making the job of cowboy less about physical strength — though female ranchers have that in spades — and more about business, animal husbandry and the environment, women have reclaimed their connection to the land. 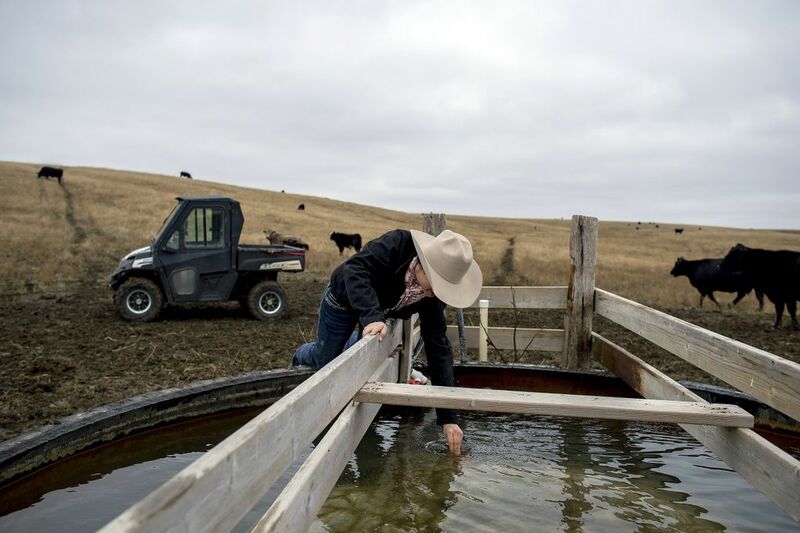 At the same time, the brothers, sons and grandsons who would have historically inherited a family ranch have, in the last decade, opted to pursue less gritty work. 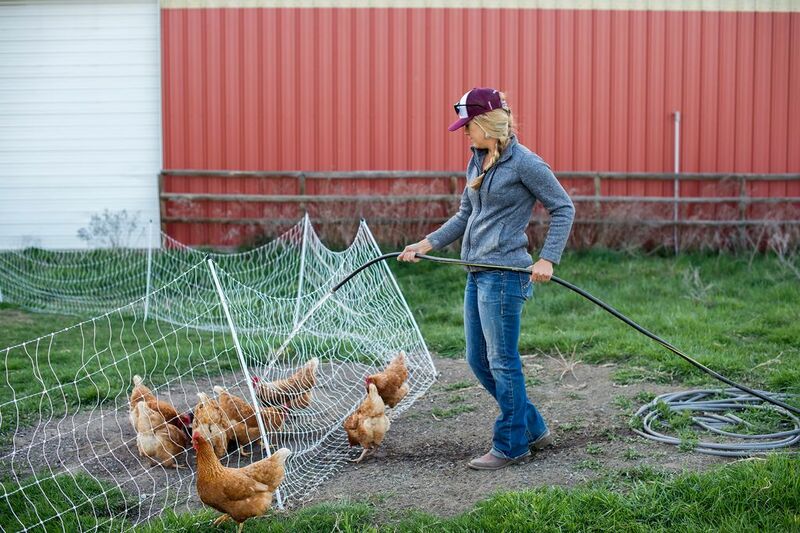 As a result, in 2012, 14 percent of the nation’s 2.1 million farms had a female proprietor, according to the U.S. Department of Agriculture. That ratio may rise, as over half the farms and ranches in the United States are expected to change hands over the next 20 years. Growing up on her family’s ranch in Kremmling, Colorado, Caitlyn Taussig watched her mother do all the cooking and housework even as she helped tend to the cattle and horses. Today, Taussig, 32, helps run the ranch with a cadre of cowgirls, including her mother and sister. They only really rely on men on the days when they have to brand the Angus Cross cattle. 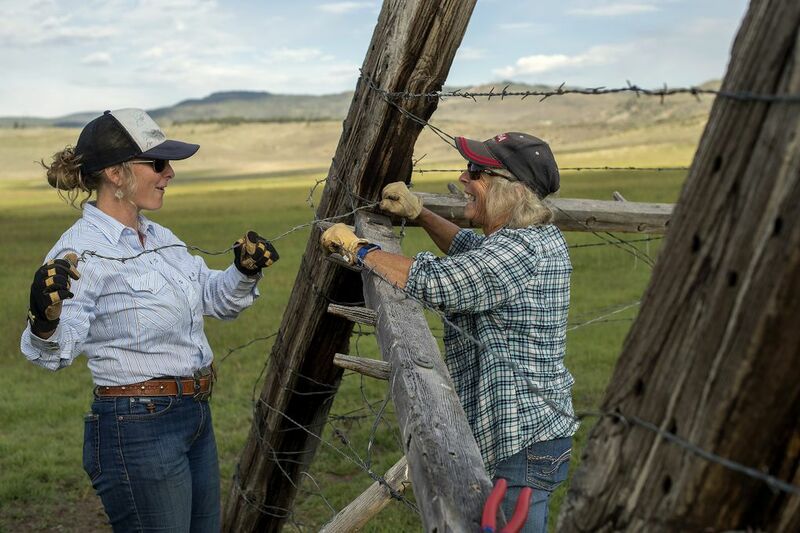 Against the vast blue skies and craggy prairies, female ranchers have found the same independence and adventure that first lured their male antecedents, but they are also forging a new path. 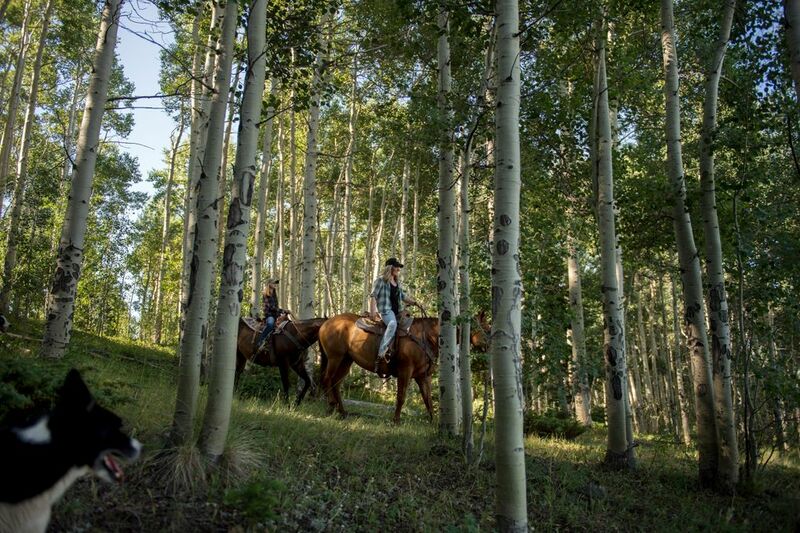 Women are leading the trend of sustainable ranching and raising grass-fed breeds of cattle in humane, ecological ways. 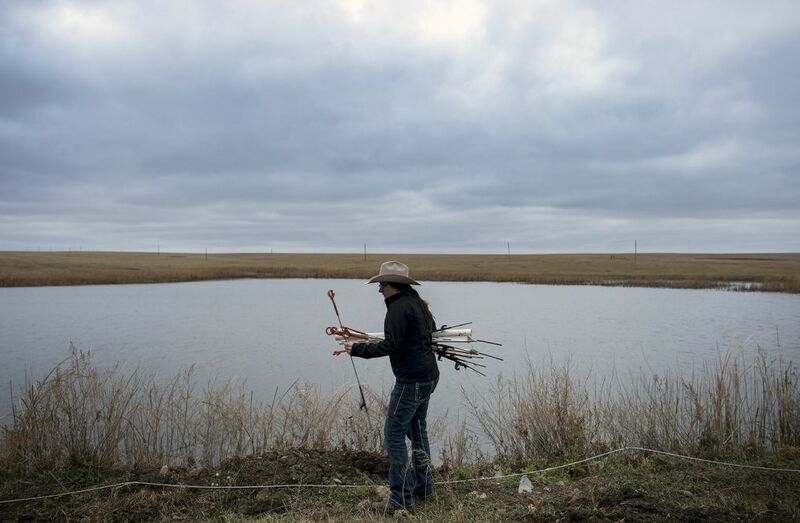 On the west bank of the Missouri River in north-central South Dakota, Kelsey Ducheneaux, 25, raises sustainable beef on the land that generations of the Lakota Nation have worked. “We believe that we can only be as sovereign as a nation as we are in our food systems,” she said. 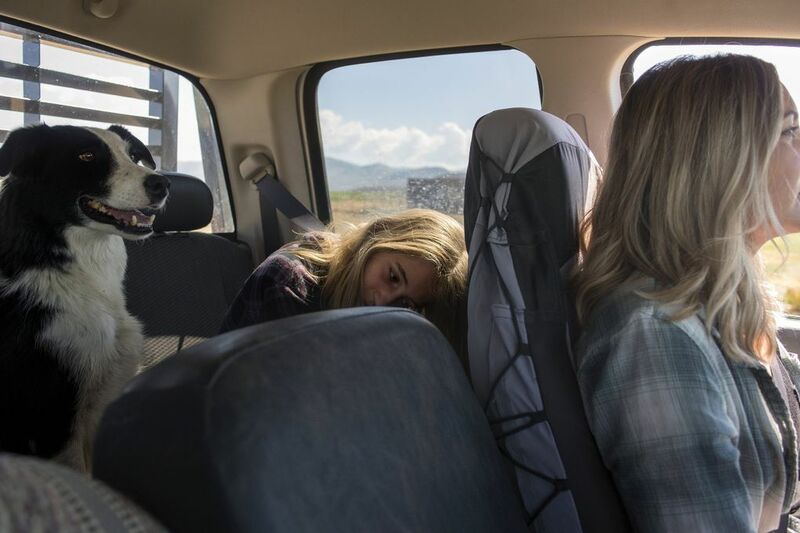 For Native Americans, the concept of women working the family ranch is not revolutionary, but a return to the natural order. 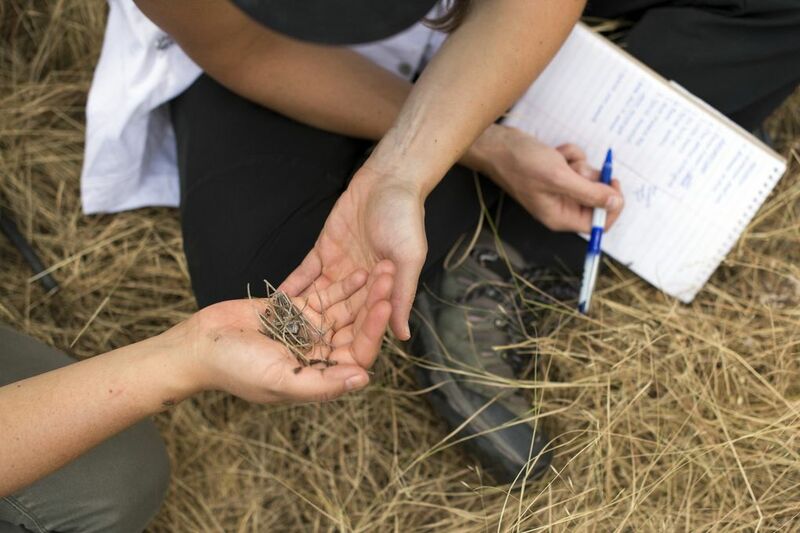 Ducheneaux attended South Dakota State University and had planned to work on the 7,500 acres of tribally leased land that she had grown up on, but it was not until her grandmother died that she understood the importance of the role of women on the ranch. 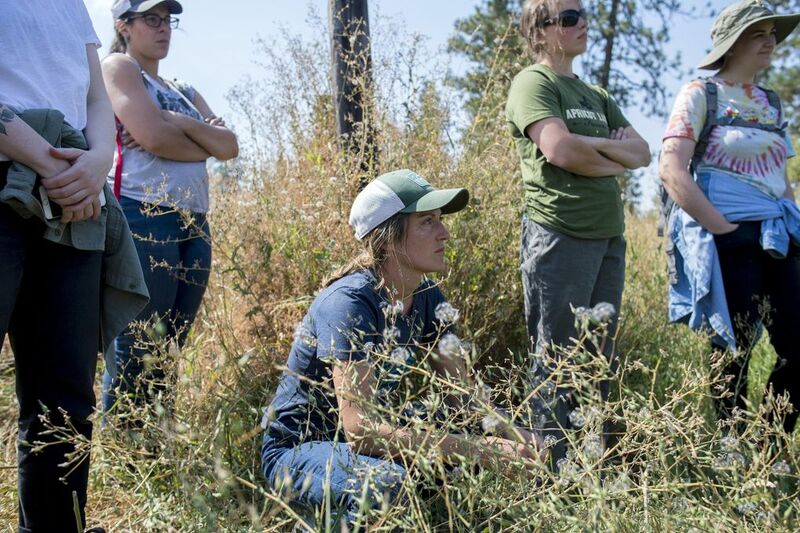 Cory Carman, 39, thought she would spend just a summer working on her family’s ranch in Wallowa, Oregon, but she has parlayed her parents’ prairie into a leading local provider of grass-fed beef. 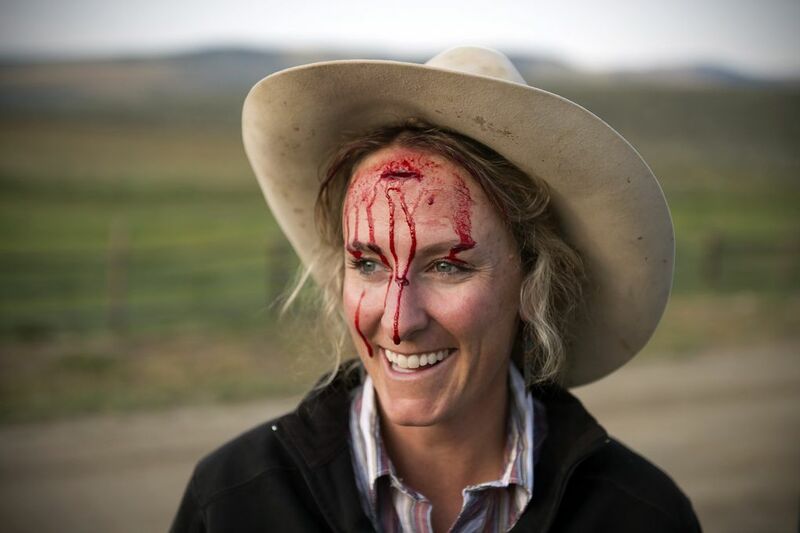 But the same judgment also proved liberating, as female ranchers like Carman redefined the job. This re-imagining of a role that has for so long loomed large — and male — in the American imagination has not come without conflict. When Amy Eller, 33, first took on a major role on her family’s ranch after her brother had less interest, she clashed with her father about how to treat the livestock. 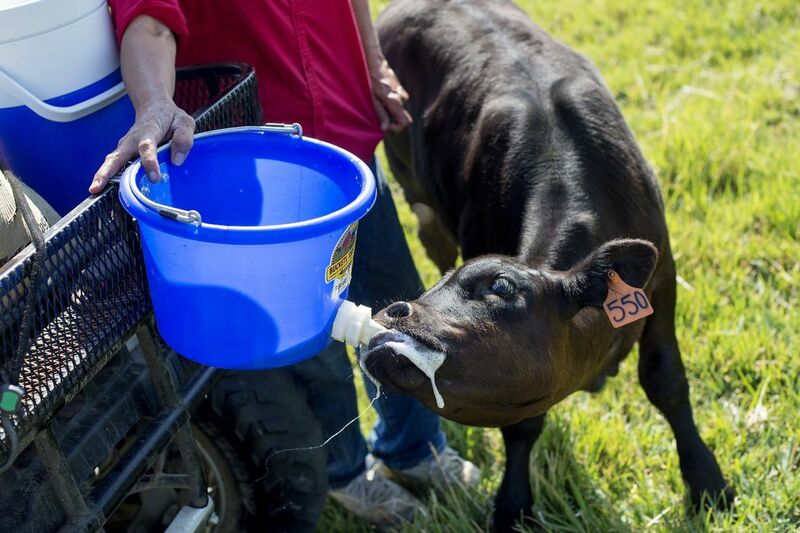 “He’s like, ‘Oh, you’re wasting your time putting that hay in there.’ And I’m thinking, it calms them down,” she said of a recent conversation with her father. 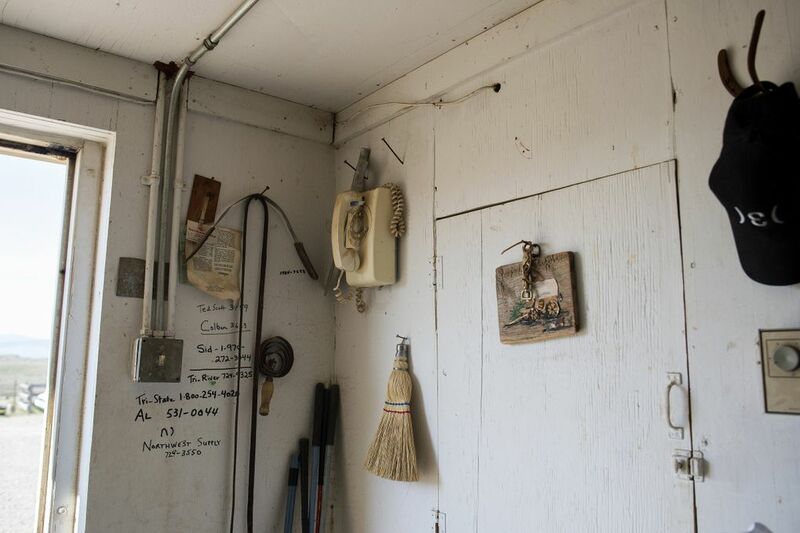 Today, three generations of Eller women work on the ranch. When her young daughter, Wendy, was a baby, Eller would strap a car seat into a tractor and take her to feed the cows. Maybe it is because women can finally feel the freedom of the American West in a way men have long romanticized, but Eller said there was just something different, spiritual even, about women working the land together.